Bill Nye (left) and Ken Ham (right) during the debate. 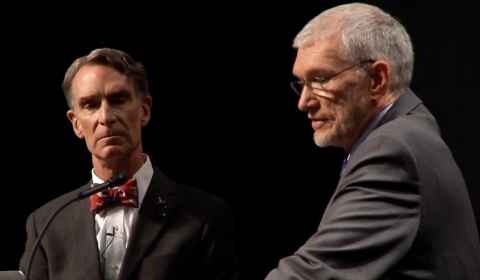 The much-anticipated debate between Bill Nye and Ken Ham happened last night. I had some pretty high hopes for the debate, and some of them were realized. However, most of them were not. If you happened to miss the debate, it is still available as a video, so please feel free to watch it. As I understand it, the video will only be there for a limited time, however, so if you want to watch it, you should probably do so soon. Let me start by telling you the things I liked about the debate. First, it went off without a technical glitch. With so many people watching it via live streaming, there were all sorts of problems that could have happened. However, I was able to watch clear video with crisp audio the entire time. It was great to think that so many people could enjoy the debate in that format. I also love the fact that it is still available as a video so even more people can watch it! Second, both debaters were cordial, and they concentrated on making their cases. Neither one of them resorted to name-calling, which is all too common in such situations. Nye repeatedly said that Ham’s views were “extraordinary,” and he also repeatedly referred to science as it happens “outside” the Creation Museum. However, at no time did he turn his attacks towards his opponent. That was very good. Third, both debaters brought up some good points. You will see what I mean later on in this post. Fourth, there were two chances for the debaters to rebut one another, and then there were (pre-written) questions from the audience. As a result, there were opportunities for the debaters to interact with one another. This is where I come to my main problem with the debate. While there were plenty of opportunities for the debaters to interact, they rarely did so. As the title of this post indicates, they spent most of their time talking past one another. That’s unfortunate, because a real discussion between the two debaters would have been more illuminating than what happened in the debate. Nevertheless, there were some good (and bad) moments for both sides in the debate, so let me use this post to point out what I thought each debater did well and what I thought each debater did poorly. Ken Ham won the coin toss and elected to go first. When I debate evolutionists, I always give them the choice of whether or not to go first, since they have the weaker case. Most of the time, they elect to go second in order to get in the “last word.” Most debaters will tell you that going second is best. I am not sure why Ham decided to go first, but in the end, I think it was the right thing to do. Nye was there on Ham’s “home field,” so it was only right to give the “visitor” the best position in the debate. In his opening presentation, Ham spent far too long on his “observational science versus historical science” shtick. As Nye showed later, this is really a false distinction. Nye specifically rebutted this idea when he said that in astronomy, we are often observing the past. This is true, because regardless of whether or not you are a creationist or evolutionist, you agree that the light (or other electromagnetic radiation) you are observing in your telescopes took time to travel from its point of origin to the earth, so by definition, you are looking into the past. More importantly, observational science is used when trying to tease out what happened in the past. Ham actually admitted that later on in the debate. Thus, the distinction doesn’t seem to be a real one. Now, at the same time, I do think that there is a difference in the confidence of your conclusions when you are dealing with things that happened in the past as opposed to things that happen now. If I want to develop a new drug, for example, I can do controlled studies with animals and people to see how the drug works. If I have doubts about my conclusions, I can change some conditions and do more studies with those new conditions to allow for further testing. Because I have the chance to do repeatable experiments under varying conditions, my conclusions can be pretty solid. When dealing with events that happened in the past, I can’t change the conditions and repeat my experiments. I am forced to look at one set of data and simply try to make conclusions about what the data mean. This makes my conclusions less reliable. Nevertheless, in both cases, the science is the same. In my view, the only difference is the confidence with which you can state your conclusions. Once he got off his observational-versus-historical-science routine, the rest of his presentation was quite good. He kept showing videos of young-earth creationists who are doing real science right now. This was good, since the debate was a result of Nye’s anti-science claim that there is no place for creationism in today’s society. Those videos destroyed that claim, and throughout the debate Nye never even tried to address how these successful scientists could be young-earth creationists given his stated position. Ham’s best moment, however, came when he talked about predictions that the young-earth creationist model makes and how they have been confirmed by the data. For example, he presented the creationist “orchard” as opposed to the evolutionary “tree of life.” He then quoted from two studies. The first was about dogs. It showed that all dogs came from a single common ancestor, which goes against evolutionary expectations but is exactly what was predicted by the creationist model. The second was the human genome project, which showed that all humans belong to a single race. This is diametrically opposed to what was believed by most evolutionists throughout history, which is that there were several races of man, with the Caucasian race being the most “evolved.” Ham even quoted from an old high school textbook that used evolution to promote such racism. Ham also discussed Lenski’s long-running evolution experiment. He had video of Dr. Andrew Fabich, a young-earth creationist microbiologist with very impressive credentials, who discussed the experiment. He talked about how it confirms creationist predictions. While Dr. Fabich’s credentials are impressive, his presentation was not. He didn’t really explain how Lenski’s experiments show that no new genetic information can be generated by evolution. Nevertheless, he did get the point across. Now let me turn to Bill Nye. In his presentation, he concentrated on the age of the earth. This was unfortunate, I think, because it addresses only one type of creationism. Now, of course, this happens to be the type to which Ken Ham subscribes, so perhaps Nye thought it was best to focus on what he continually referred to as “Ken Ham’s model.” As a result, he brought up a lot of evidence that he thinks opposes a young earth (ice cores, trees, rock layers, order of fossils in the fossil record, distant stars, fossil skulls, and animal migration). All of that evidence, of course, has been addressed by young-earth creationists, and some of what Nye said about it was quite incorrect. I hope to go through some of that in a later post. Nevertheless, to those who haven’t studied the issue much, he appeared to have a lot of evidence that contradicted a young earth. As you would expect, Nye didn’t really know much about the creationist view. For example, he said that you wouldn’t expect to see layers of rock in the geological record if there were a worldwide Flood. However, a quick review of any creationist literature not only shows that they expect such layers, but that observations of local floods as well as laboratory experiments demonstrate that floods can, indeed, produce layers of sediment that will form layers of rock. He also claimed that the creation model can’t make predictions. Of course, this was after Ham had discussed predictions of the creation model and how they have been confirmed by the data. Once again, even a short perusal of the creationist literature shows that the model makes all sorts of predictions, many of which have been confirmed by the data. Nye tried to make one point that was really bizarre. He discussed Rubidium/Strontium dating in a way that didn’t make any sense, but that’s not the bizarre part. After discussing this dating method, he then tried to relate it to nuclear medicine. Okay, that’s a stretch, but once again that’s not the bizarre part. Once he related the dating method to nuclear medicine, he then showed a reference that says there is no place in Kentucky that offers a major for a nuclear medical technologist. He said that he hoped everyone found that troubling. That’s the bizarre part. He seemed to be implying that the Creation Museum being in Kentucky was the reason there are no degrees for a nuclear medical technologist in the state. Of course, that’s nonsense. It’s also wrong. According to the Nuclear Medicine Technology Certification Board, there are two colleges in Kentucky that offer such programs: Jefferson Community College in Louisville and Bluegrass Community & Technical College in Lexington. Nye did have some good points, however. For example, he discussed the number of animals that would need to be on the ark, according to estimates made by creationists (7,000). He then pointed out how many species there are in existence today (16,000,000 – probably an inflated number). He said if there were only 4,000 years from “Ken Ham’s flood” to the present. that would mean 11 new species would have to appear every day in order to produce the number of species we see on earth! Now, of course, his numbers aren’t really correct, because the ark wasn’t used to save bacteria, viruses, water-living organisms, and plants, all of which are included in Nye’s inflated number of species that exist today. However, while his numbers are very wrong, he does point to a real issue with young-earth creationism: diversification of species had to have been much more rapid in the past than it is today. Now, there are good reasons to believe that it was, but nevertheless, I don’t know of any really good young-earth model that addresses the specifics rapid post-Flood diversification. Okay…if you made it this far through this long post, let me finally explain the title. While each presenter made some good (and bad) points in his opening presentation, neither of them addressed much of what the other said. Ham, for example, kept asking Nye where the laws of logic and the uniformity of nature came from. The creation model explains this, the naturalistic model does not. Nye never answered him. Nye, on the other hand, kept asking Ham to explain the various hominid fossils found in the fossil record. Ham never answered him. In the same way, both debaters seemed to simply ignore the other on many issues. Ham kept saying that he had shown the creation model makes predictions that are verified, and he said there are many other examples. Nye kept saying the creation model makes no predictions. Nye kept saying that the creation model will harm the U.S. when it comes to science and technology. Ham had shown the videos of creation scientists who are doing serious scientific work, and Nye never explained how these scientists could exist if his view is correct. Nye kept calling the creation model “Ken Ham’s model” and the worldwide Flood “Ken Ham’s flood,” even though Ham told him that creation and the flood aren’t his ideas. They come from the Bible, and the creation model has been worked on by lots of PhD scientists. Nye kept talking about the Bible as it if had been translated many, many times, at one point even comparing it to a game of “telephone.” Ham never pointed out how completely wrong such a statement is. So in the end, while both presentations were good in many ways, the rest of the debate I found to be rather useless. Even the question/answer session, which is usually my favorite part of a debate, ended up just being another situation where the two debaters talked past one another. Will this debate change any minds? I doubt it, because each debater never really addressed the other’s contentions. However, I do think that the post-debate discussions that people have could change some minds. That’s the real value of a public debate. This debate allowed some arguments related to the origins issue to be “put out there.” Now it is time to discuss them. That discussion can be incredibly valuable, both scientifically and spiritually. Please note that Answers in Genesis will have a post-debate commentary. My guess is that it will address the things that Ham did not have the time (or desire) to address in the debate. I am not crazy about such commentary when it is done by the participants, so I am not sure whether or not I will watch it. Nevertheless, I wanted my readers to be aware of it. It seems to me that the operational/historical science idea can be amended to get around the objection Nye brought up. Nye pointed out that astronomy is an instance of the blurred lines between historical and operational science. However, aren’t astronomers actually observing events that happened in the past now, because of the distance of starlight? It seems that astronomy is a form of observational science. In other words maybe observational science doesn’t have a time stamp on it. Maybe the time element should excluded, and we simply say that if you cannot observe x, then you are not doing observational science, but lets call it um… I don’t know what to call it, but it seems to me you are doing something different. It seems to me that astronomy puts us in the paradoxical position of observing events in the past. There is nothing analogous to this in geology, evolutionary biology, etc. Rather in those disciplines we must extrapolate back, and also create a narrative where as in astronomy we can “see” a supernova exploding, or a black whole swallowing a galaxy even though that event happened in the past. It seems to me that there is an equivocation involved. Blake, I think the equivocation you are seeing is a result of the fact that the observational/historical science idea is a false dichotomy. In astronomy, the lines are really blurred, because you are actually observing past events. Thus, you need to do extrapolation if you want to know what is happening now. However, the blurred lines also exist in geology, evolutionary biology, and the like. For example, I can do experiments in the present that show that it is at least possible to make oil without using organic materials. That affects how we view the past, because that means some of the oil we see today might have been made from non-biological materials, even though the standard view is that it is made from the remains of plants and animals. We can do experiments on animals by mutating their DNA in the present, and that will affect how we view the process of evolution. In the end, the lines are blurred because it’s a false dichotomy. But this is getting to be absurd. You can’t use one or two lions and crocodiles as representing the species. Maybe these lions didn’t eat meat but the species as a whole does. You can’t say this is scientific evidence of what the they may have been like on the ark. Even if they were vegetarians, how did they eat plants if they too were drowned underwater? How did they chane to planet eaters to begin with and why did they revert back to eating meat? Did sin enter the world a second time or did god intervene to make them peaceful? You claim to look at the evidence objectively but all I see you citing is creationist science. Science that supports your worldview. Why is that? Why is creation science better than non-creation science? I can’t understand how someone who has a PHD in nuclear science can’t see how much of a stretch this is scientifically. How much of a strectch any of it is. I honestly mean no disrespect to you or your credentials. It’s just that I have a hard time seeing and accepting all this. Luis, I am sorry that you find following the evidence to be absurd. Because I am a trained scientist, I find following the evidence to be the least absurd thing you can do. That’s why I am a young-earth creationist. I am not using “two lions and crocodiles as representing the species.” I am using the specific cases of two lions and a cat to show that animals thought of as obligate carnivores need not necessarily eat meat. In addition, the study to which I linked (which you ignored, of course) is for three-quarters of all crocodile species. Thus, it is a fairly representative sample of animals thought to be obligate carnivores. Once again, if you would look into these things, you would find answers to all of your questions. No, the plants were not drowned underwater. Plant seeds float, and large, floating mats of vegetation would have been common in the flood. These mats of floating vegetation would settle onto land as the Floodwaters receded, allowing for quick recolonization of the land by plants. The carnivores didn’t “chane [sic] to planet [sic] eaters.” They simply ate what was available. As I pointed out already, animals we thought were obligate carnivores (like crocodiles) have been shown to supplement their diets with plant matter in the wild even today. Thus, there is nothing unusual about obligate carnivores supplementing their diets. Nothing would have been different back then, except perhaps for the varying levels of supplementation. There might have been less meat than what is available today (but not no meat because of fish and insects), so the carnivores coming off the ark might have needed to supplement more than carnivores do today. That’s the only difference. I don’t make the claim that creation science is better than non-creation science. I look at all evidence, regardless of the source. You, however, make the (unsupported) claim that non-creation science is better than creation science, and you aren’t even willing to look at a creationist source. As I have pointed out before, this is an example of the genetic fallacy, and it is not something a serious scientist would ever engage in. I think you have a hard time seeing and accepting all this because you refuse to look at the evidence. Please spend some time actually looking at the evidence, and you will have a better time understanding my position. I don’t know if there is any evidence for this, but is it possible that the animals in the ark could have been hibernating? Just a thought. Kendall, it’s possible that some animals did hibernate for part of the time they were on the ark, but that wouldn’t be incredibly significant. There aren’t a lot of animals that hibernate, and even among those that do, it doesn’t last for a year. Now, of course, since the animals were not as active on the ark as they would be in the wild, their food needs were reduced. Hibernation among some of the animals for part of the voyage would have reduced the food needs a bit more, but I don’t think it would be significant. In any event, there has been a detailed study of what would be necessary to take care of the animals on the ark, and it shows that given the dimensions of the ark and the number of humans on it, all animals would be taken care of without any undue stress. For the water depth, I was thinking that the revolutions would cause a bulge around the center of the earth. This is assuming though, there was enough water to cover the earth and persisted for most of the duration of the flood. I have not read literature pertaining to this topic, so the following may not be applicable. If the planet was covered with sufficiently enough water, currents that would arise. These currents would help to disperse the resources from a region of the earth to another. If this is correct,this would help to diversify the the vegetation life after the flood. Would it also provide a greater range of available plants to supplement the diets of carnivorous animals? Also, there would not be enough time after the flood for generations of plants. Have animals shown the ability to recognize when a certain resource is growing scare and move onto another resource that provides the same nutrient? Or would they move through, in a sense, ravaging the land of certain types of plants that provide their sustenance? D. Perrine, the Bible tells us that the ark came to rest on the mountains of Ararat on the 150th day of the flood. It was 128 days later when Noah released the dove and it came back with the olive leaf. By day 314, the surface of the earth was dry. That gives you an idea of the rate at which the floodwaters receded. I would think that there would be a lot of currents, which would, indeed, diversify the vegetation after the Flood. I am not sure why you think there would not be enough time for the generation of plants. Potatoes, for example, can be harvested in as little as 70 days after they are planted. Some plants grow more quickly, some grow more slowly. Remember as well that there weren’t a lot of animals at first, and they spread out as the migrated. Thus, there is no problem with the vegetation supporting the animals coming off the ark. There are animals that seem to know when to stop utilizing resources. For example, leafcutter ants typically only remove about 10% of a plant’s leaves before moving on to the next plant. This seems to indicate that they know they shouldn’t ravage the resources. Once again, however, I don’t think it would be possible for the animals to ravage the resources. In general, plants grow and mature much more quickly than the animals that feed on them. Thus, as the animal population grew, the plant population would grow much more quickly. Also, the animals would have been migrating, constantly encountering areas that hadn’t hosted any animals since the Flood. Thus, I just don’t see a lot of opportunity for ravaging. This is a good review. As a creationist I thought Mr. Ham did fairly well, but not exceptional…I thought he did extremely well the first half of the debate in laying the foundations for the idea of two separate world views…but then when it came to defending the onslaught of questions and challenges of Nye, I thought he his responses were a bit weak. Now admittedly he didn’t have much time to address all these challenges, but at the same time it seemed to me that he was repeating himself unnecessarily, which took away from his time and ability to respond effectively. specifically I wish he would have addressed that propaganda piece that Nye kept showing, depicting the comparison of skulls, which was a Talk Origins photo. the first problem with that photo is, in reality, most of these individuals are different sizes. The chimp and the human, for example, are much different in overall size….and the human skull, as well, is much bigger than the chimp skull. yet look at the picture; all the photos of all the skulls are about the same size, despite the fact that the ape skulls’ volumes are all about half of the humans’…. for example, the Australopithecus africanus, STS 5 has a cranial capacity of 485, while modern humans have a cranial capacity of over double that…yet the photos make their sizes look identical…..this amounts to intellectual dishonesty….This photo is a blatant attempt to confuse and deceive. The other, even more obvious point that I wish Ham would have pointed out is that none of these creatures’ bodies are included in the photos. How easy would it be, if all the complete skeletal evidence was there, to distinguish humans from the apes? But this is a typical evolutionist tactic of using incomplete information as a tool of persuasion — and it was implemented perfectly in this debate. It’s too bad Ham didn’t call him on it because I believe this was one Nye’s most “compelling” arguments. As far as Nye’s performance goes, he was ok as well, but again, not spectacular…..I actually thought he came across as a bit angry and frustrated the whole time and it almost felt like he was having to stifle his real emotions….he also had a bit of an arrogant tone, which I personally find quite distasteful….I think this tone is actually appealing to others so maybe it’s just a personal preference. Ultimately, like you, Dr. Wile, I found the debate to be mostly useless, save for Ham’s wonderful invitation for viewers to give their life to Christ…..
Nye certainly did have a “tone” as you said, ss. His frequent references to “Ham’s Model” and “the outside world” made it clear that he did not consider creationists capable of doing real science. And then there was that absurd bit with nuclear medicine and the map of Kentucky… Really, Nye? It’s creationism’s fault? He seemed to consider this whole exchange not as a debate, but as an intellectual missionary expedition of sorts. I was wondering what your take on the debate would be. Thank you for the thoughtful, even-handed commentary that I was hoping for! Blessings. 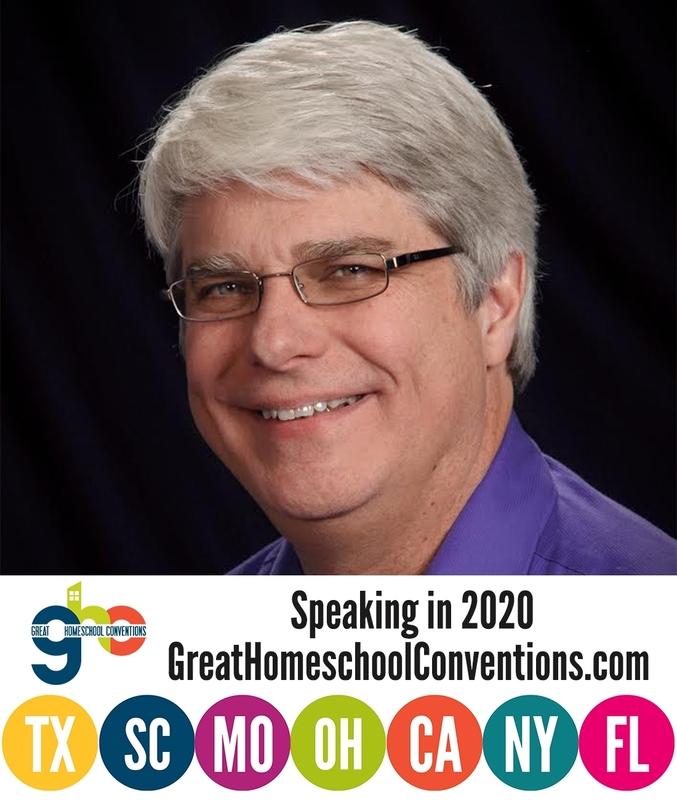 Just wanted to say that it is a blessing to discover your blog site, Dr. Wile. I appreciate your admonition to verifying sources of information before using them and the unreliability of the internet as a “source” of truth. Thanks for your comments on the Ham-Nye debate. They described nicely the “play by play” of the proceedings and approach of the two participants. I look forward to any future comment you might make about the purpose of these ventures in apologetics and the reasonable expectations Christians can take away from them.